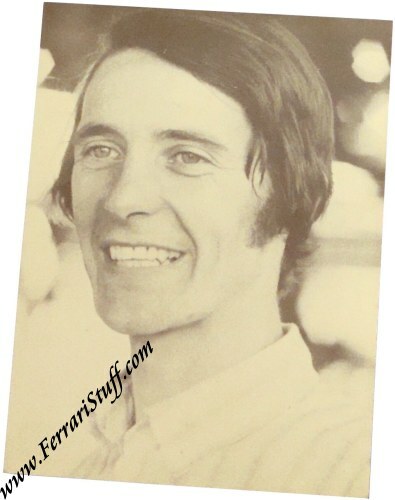 1972 Ferrari Factory Postcard of Arturo Merzario. This is an official Ferrari postcard of then-factory driver Arturo "Little Art" Merzario. 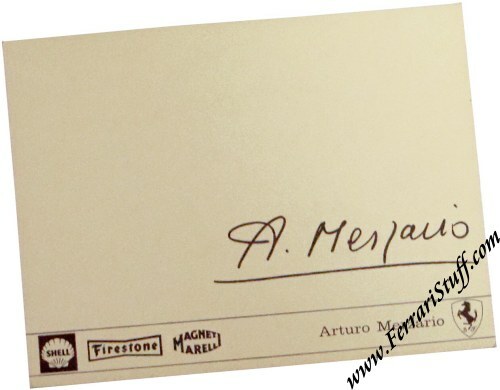 The back carries the Shell logo, Firestone logo, Magneti Marelli logo, Scuderia Ferrari logo and Arturo's signature but please note that the signature is PRINTED. The card measures approximately 12 x 16 cm or 4.5 x 6.5 inches. It carries no Ferrari Print Number but Michael Sauze numbered it "72/08" in his book.